Fashionable maternity outfit ideas will give details about the latest maternity outfit trends and tips. Dressing during the maternity should have two basic things to be looked for, comfort and style. No matter how much the bump is revealed the person can look at their stylish best following few important tips. 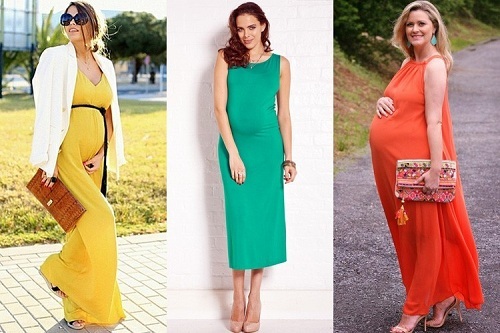 Here we discuss on the important things about the fashionable maternity outfit ideas. First, decide on what is the style quotient you are looking for and the basic purpose of your selection of dress. If you want to hide the bumps at the initial stages of maternity, then you can go for a silhouette that flows over your body not revealing minute body changes. Good free flowing knee length, flared frocks can also do the job of camouflaging the small weight gain or growing bump. You can also try of free flowing blouses that can be well fitted by a band across the waist which will hide your few pounds across the belly side. If you are not interested in spending too much on the new maternity costumes during the few initial months, then you can choose the option of adding a belly elastic band that will expand just like any other elastic and helps you to fit into your old favorite jeans even if cannot be buttoned or zipped. To cover up the unbuttoned jean you can wear multi layered tops or coats, till waist, or even small cardigans, which extends below the belly area. Choose clothes that fit into your shoulders and shirts but not too fitting near your waist and belly areas. Loose clothes that do not fit right at you shoulders might make you look very huge, so choose tunics. They are the best when it comes to good shoulder fittings and loose belly areas. The tops that have a deeper neck line might make your upper part of the body heave during the maternity time. So when you choose tank tops please choose them with a chic cardigan or jacket to cover up. As the bump increases and so does few pound around the places of your body, choose to invest in the clothing which will have room for expansion around the sides and near the belly area, with the growing weight. Wrap ups are the best choice for both professional and casual week end clothing. Any ankle length flowing dress with a knit jacket will give you more comfort than other clothes. Avoid wearing zip and buttoned clothes. I’m Cathy Michelle [cathymichellemd@newfashionfantasy.com], As fashion keeps evolving, I think of reaching out for some of the thought-provoking styles and some personal designs. Ironically, they are now available only in some glamorous magazines and the very thought ignited inside me a sense of having all the latest fashion influencers more accessible to everyone. 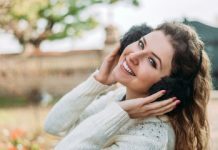 Why Should You Have Fashion Earmuffs?